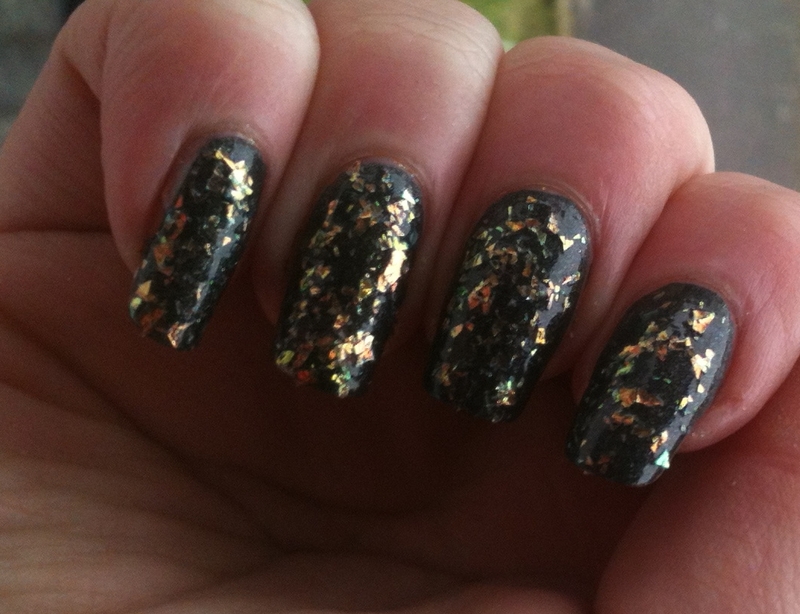 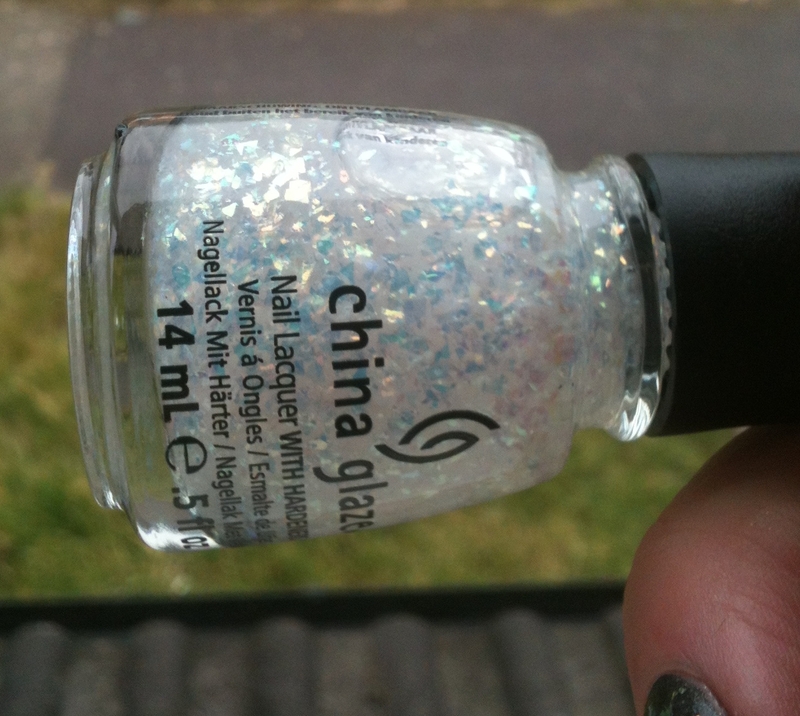 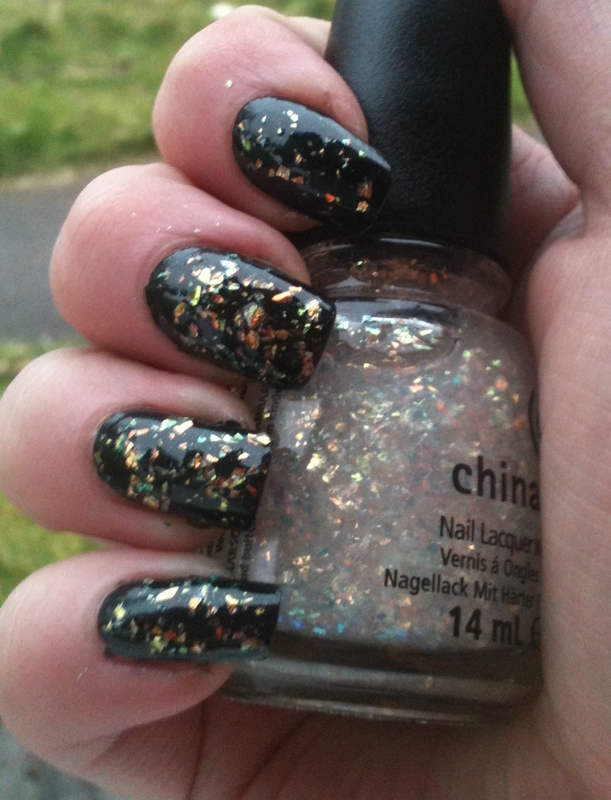 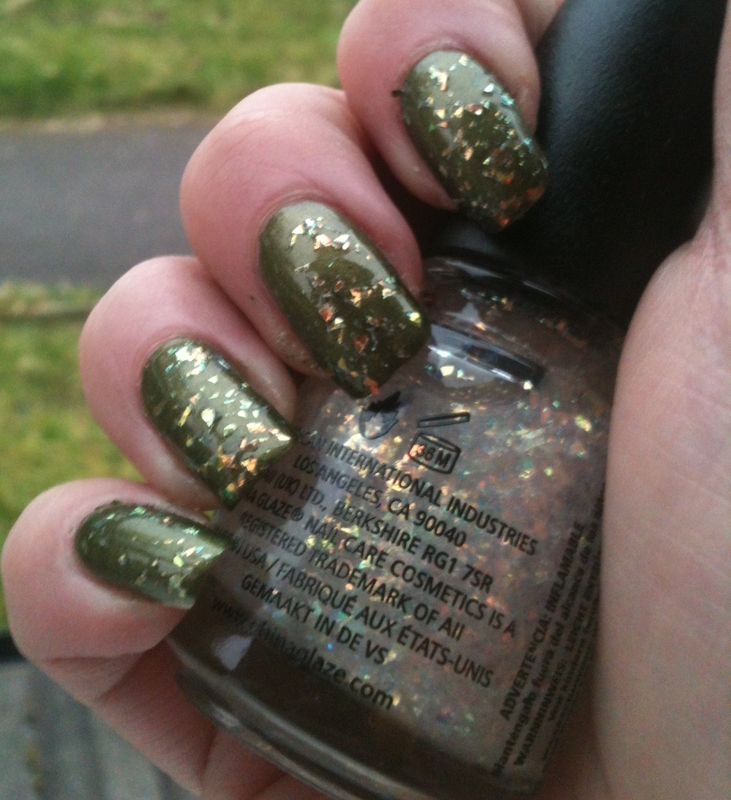 Luxe and Lush is from China Glaze's Hunger Games collection. It gets its own post because I already post too many pictures per post anyways haha. 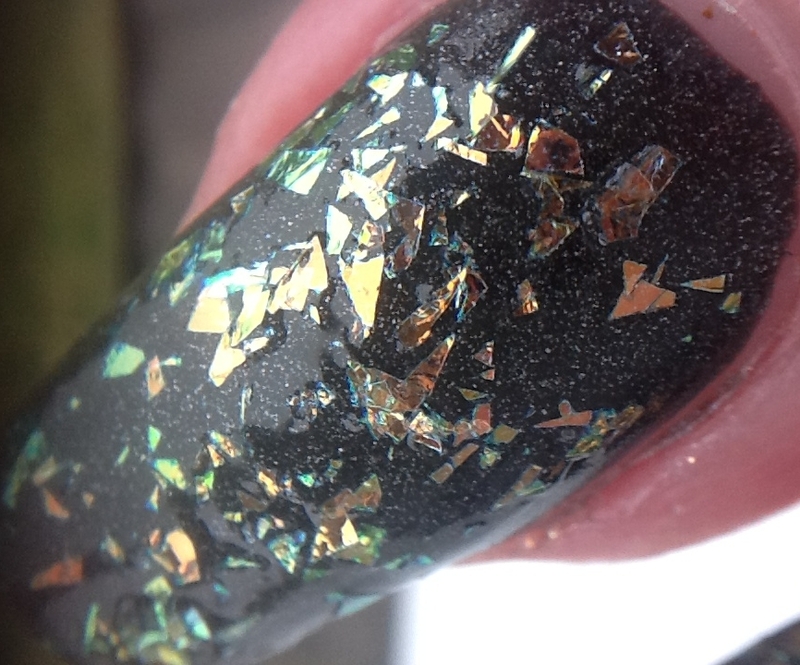 This polish is quite special! 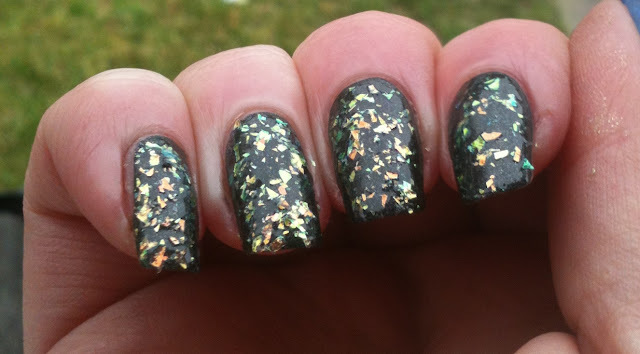 Luxe and Lush is...how to describe it. It's like a "mother of pearl" flaky, at least it seems it to me. 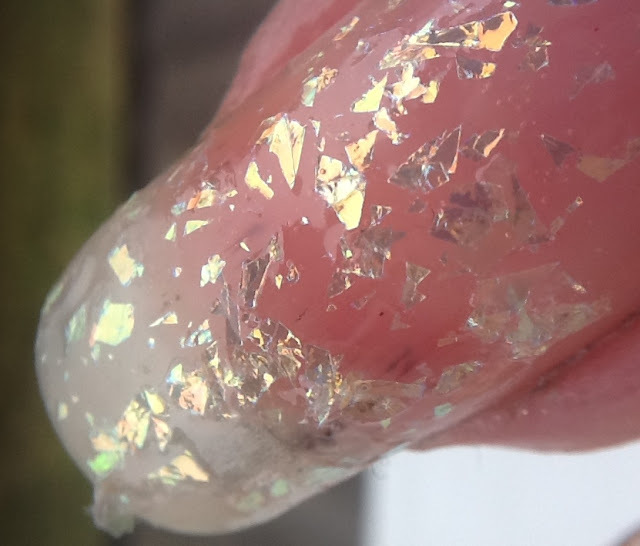 This is different to other flakies though; this is much bigger, more noticable and has a texture to it, it's not entirely smooth. 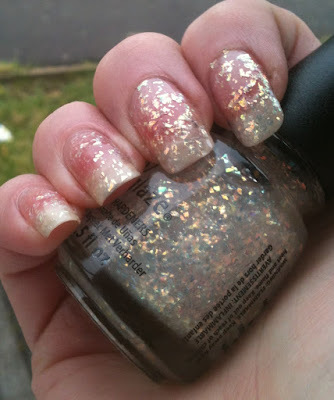 Depending on how much of the flaky you get on your brush you might want to use two coats to make it really pop. In these pics I have it layered over Stone Cold, Agro and Smoke and Ashes. It seems to be at its best over dark bases.